Corina Rüegger has been a police officer for the Canton Police of Bern since 2001. Dogs have always been part of her life. 2008, Murphy, a German Shepherd, came into her life. He was her first own dog and they started a career as a multipurpose Police K9 team. Murphy is now retired and enjoys his older days at her side. With Murphy, she trained multiple dog disciplines and attended various seminars about dogs and their behavior. Corina came in touch with mantrailing for the first time in 2015. Her first seminar was with Christoph Clemens (GAK9 Trainer Germany). Afterwards she continued her training with Alis Dobler (GAK9 Trainer Switzerland). With her second dog, Naboo, also a German Shepherd, Corina started trailing as a puppy following the GAK9 philosophy. Corina passed Level 1 with both dogs. 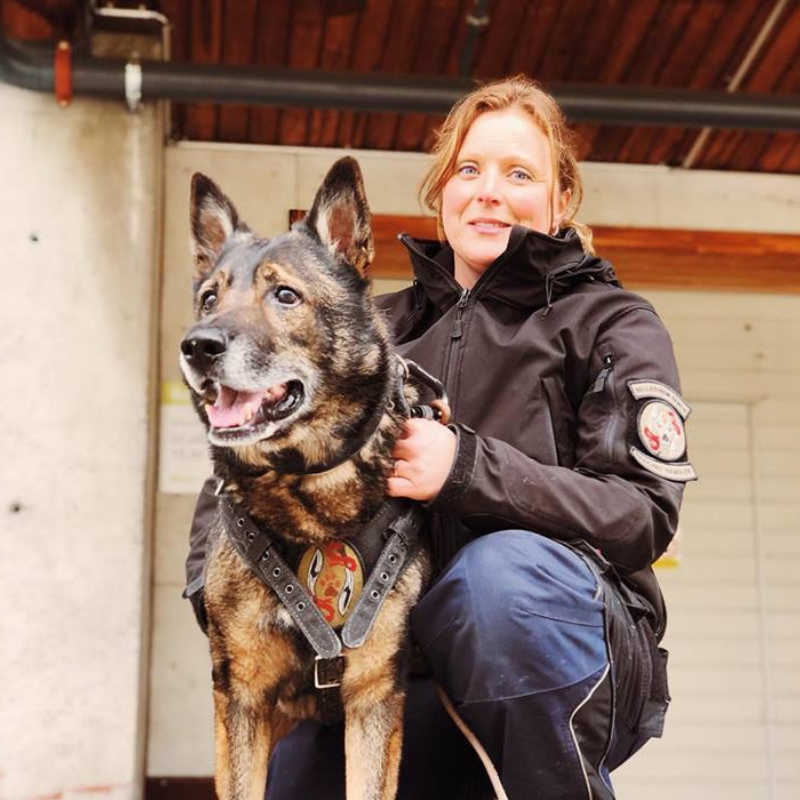 In January 2018 Corina became a trainer for K-9 Manhunters (www.k9-manhunters.ch) and is in charge of the area of Bern. Furthermore, she is a member of K-9 Search & Rescue Association (www.k9-sra.ch). Trailing is her passion and she loves to pass it on.